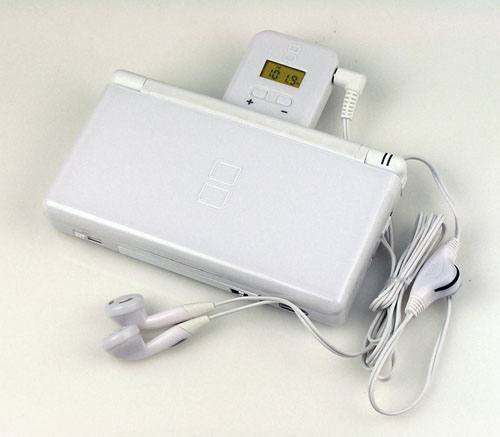 This is probably the coolest and probably most useful accessory for your Nintendo DS or DS Lite, provided you enjoy listening to the radio. That's right, this accessory is an FM Radio by Futuretronics for your DS. The small device simply plugs into your DS and allows you to listen to FM radio your portable gaming device. To make things even more enticing, Futuretronics have also included two high quality stereo earphones that boasts true sound quality that is clear and sharp. To use this device, the FM Radio simple plugs into your DS and presto... you are almost ready to listen to the radio. The device also contains a digital tuner which ensures high quality tuning and easily allows the user to switch between stations. The ease of finding the radio stations were a breeze and to make things even easier, the headphones also contain a volume control. 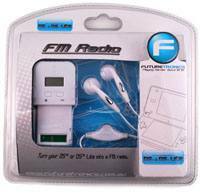 In conclusion, the Futuretronics FM Radio for Nintendo DS & Nintendo DS Lite is a great little product for those on the go who wish to have FM radio access without carrying another device. Definitely for the travellers and those who like to travel light!